In recent years the sneaker scene has exploded with artist and designer collaborations. These specialist shoes are produced as short runs, using innovative or luxury materials, and often have bespoke packaging. Some even push the design of the shoes themselves, creating hybrids or new incarnations of classic designs. Focusing exclusively on contemporary, cutting-edge sneaker design, "Art & Sole" sets out to explore and to celebrate the creative side of sneaker culture showing the best and most original rarities and collaborations. These are not shoes that can be found in your average sports store. 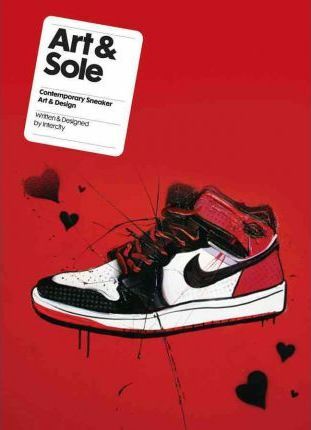 This book is a must for any enthusiast of sneaker design or collector of the shoes themselves. London-based design studio Intercity was founded in 2004. The company has produced work for a wide variety of clients including Uniqlo, Bush Records, Carhartt and Creative Review. Intercity are co-authors of Rad Rides (Laurence King, 2012), an exciting and in-depth exploration of the world of BMX bikes.